In high school, you probably had the idea of going to college shoved down your throat, but as important as higher education is, the truth is that nothing makes you more marketable than experience. Look at it this way – Would you rather have someone working for you that got a 4.0 in school but has absolutely no experience in the field, or someone who has years of experience with a solid reputation? Odds are that you’d choose the person who had already experienced working in the field. That’s why college student internships are so important – They give you the experience you need to not only learn the ins and outs of the industry, but they also help you decide whether this is really the right career fit for you (more on both of these in a minute). I know that your time is precious and you might not feel as if you have the space in your schedule to take on yet another activity, but I promise that this one will pay off in the end. Adding an extra activity to your schedule may seem daunting, but the truth is that it actually teaches you how to prioritize things better. 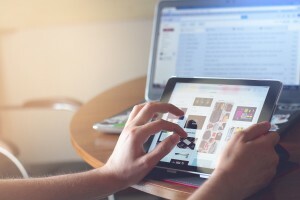 In fact, it might even make you more productive and less likely to procrastinate because you have less time to mess around and twiddle your thumbs. There are many college student internships available throughout the school year and summer, so odds are that you can find one that meets your schedule and times available. If you prefer to stick with summer, you can absolutely do so, but keep in mind that you’re probably going to be asked to work more hours, and you’ll be up against more competition since summer internships are highly sought after. Studying written material, going through case studies, and understanding the policies in your chosen major are all fine and dandy, but there are just some things that you can’t learn unless you immerse yourself in the field. College student internships expose you to the reality that comes along with your major. I’m talking about seeing the good and not so good parts of what it takes to really work in that field. You might find that you like a certain aspect of the job, but absolutely hate another. This is something you probably wouldn’t find out otherwise if you didn’t participate in the internship! In-house referrals always tend to get more interviews than applicants that come from elsewhere. Why? Because somebody who has already been hired by the company is showing their support for you. This automatically puts you in a better light (and often at the top of the resume pile). This is why networking and making professional connections is so important while you’re still in school. But in order to get those connections established, you’ll need to prove your abilities and demonstrate that you mean business. That doesn’t mean that you can’t have any fun while you’re working (because that will keep you sane), but you should always come to your internship prepared to work hard, learn new things, and use the knowledge you’ve learned in class. Also, don’t be afraid to reach out to people you work with and ask them for a business card or to connect on LinkedIn. After you leave, make an effort to contact these people at least once every few months just to stay in touch. Eventually, you’ll be at a point where you’re ready to look for full-time work and you’ll have the “in” because you’ve already got contacts in place! 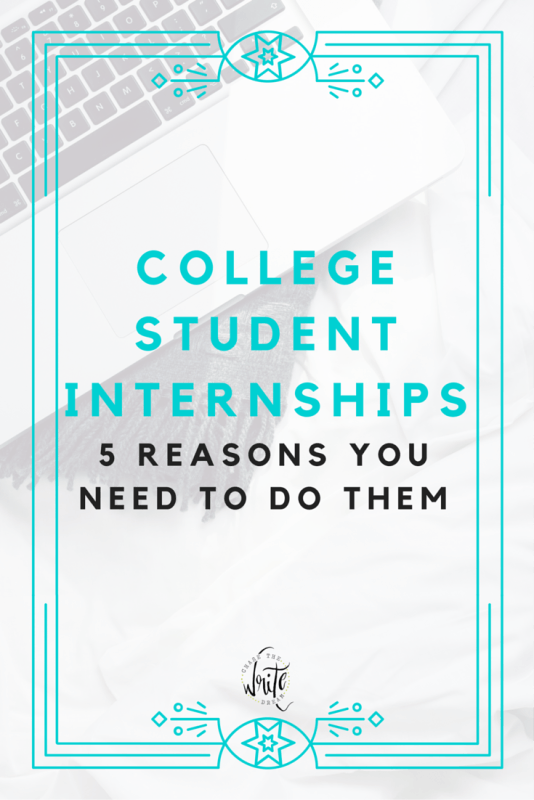 One of the biggest reasons to participate in college student internships is to really find out whether the field you’ve chosen is the right one for you. As great as your major looks on paper, the truth is that actually doing the work is an entirely different experience. What you thought was going to be more people-involved work might end up being more of a desk job. You may also discover that there are certain parts of the field that you like more than others. For example, majors like business and communication studies are very broad, so you might find that you enjoy crunching numbers by not being involved in sales. On that note, you should try to participate in at least two to three internships that give you different exposure to your field. The more experience you can show to a future employer, the better! Your resume is going to look a whole lot better with internship experience on it! College graduates who don’t work or volunteer while in school often find themselves filling the blank space with skills, projects, and other notable academic achievements. Although these are great to have, nothing says “hire me” quite like hands-on experience in the field. Throughout your internship, you may find that you are a strong communicator, great with learning technology, or a master data cruncher. Discovering and using these skills will help you market yourself better when it comes time to write a cover letter and resume showcasing exactly why you are a good fit for the position you are applying for. Almost every school has a career center that has a list of part-time employment and college student internships. Make sure to check the list frequently and apply to any that interest you! There are also tons of places online to look. I recommend reading my post, The Best Places to Find Internships for College Students, to get some direct links to websites that might help you with your search. Finally, don’t be afraid to reach out to a company directly and ask them if they have any internship spots available! Internships are amazing opportunities! I know so many people who owe their whole careers to the internships they got while still in college.